Madagascar is one of the most extraordinary and wondrous countries in the world. Located in the Indian Ocean, off the south east coast of Africa, it's the world's fourth largest island and is similar in size to France or Texas. The vast island contains a tremendous variation in landscape and ecology. A mountain range runs down the entire length of Madagascar on its eastern side, anchoring a massive central plateau that is sculpted by terraced rice fields. The mountain range captures much of the moisture in the prevailing winds coming in from the Indian Ocean to the east, resulting in moist rainforests in eastern Madagascar and drier forests in the west. The overall influence on weather provided by the mountain range, combined with the span in elevation of the mountains themselves, has created several climatic zones across Madagascar and, by extension, unique types of forests. There are moist tropical rainforests throughout the eastern flank of the island, tropical montane forests in the central plateau, deciduous and baobab forests in the west, and the dry spiny forests in the south. The variation in geography is also impressive. In the central highlands, granite domes (reminiscent of Yosemite National Park in the USA) dot the landscape like large eggs in a vast nest. In the west, a massive region of karst topography has created a landscape composed of thousands of knife-like limestone towers, typically 50 metres (165 feet) high, called "tsingy", which are stacked tightly together and stretch for as far as the eye can see. Within the labyrinth of the tsingy are pockets of inaccessible vegetation and troops of lemurs (a type of primate found only in Madagascar) which climb the sharp rock pinnacles. In fact, lemurs are merely part of Madagascar's phenomenal biological endowments (see page below). Surrounding Madagascar is a colossal coral barrier reef, which is the third largest in the world after those found in Australia and Belize. Although Madagascar is one of the economically poorest nations on Earth, there are many riches to be found in its culture. Archeologists believe that the first people arrived between 2,000—4,400 years ago on large outrigger canoes from Indonesia (a 6,400 km journey! ), which is astonishingly recent considering that it is a very large tropical landmass. Africans arrived later and added a number of words to the Malayo-Polynesian language brought by the first people (which remains the dominant language today). The several dozen tribal groups that form what is collectively known as the Malagasy (people of Madagascar) have created a unique and complex culture based on their mixed Asian-Pacific and African heritage. Many traditional customs, including a fervent belief in the power of ancestors, are practiced to this day. A wide range of cultural beliefs related to actions, called "fady", are central to Malagasy identity and are often specific to particular regions, tribes, villages, or even families. Examples of fady include: the importance of not pointing at tombs; that a shovel used to dig a grave shall have a loose handle because having too sturdy a connection between the living and the dead can be perilous, and; that newborn babies shall not be referred to as "ugly" by observers. The music of Madagascar is resplendent and diverse, reflecting the country's unique cultural heritage. An example of one of the traditional forms of music is that of the highlands Merina tribe, with its sumptuous vocal harmonies accompanied by a bamboo tube zither called the Valiha, considered the national musical instrument of Madagascar. An example of one of the contemporary musical styles is the Salegy. Originating from the northwestern coast, it is a very fast beat (typically around 290 beats per minute) dance music driven by a pounding electric base and drums, and featuring high-life electric guitar, accordion, and call-and-response vocals. Although the primary language of Madagascar is Malagasy, French is also widely spoken, a legacy of six decades of French colonial rule that ended when Madagascar achieved independence in 1960. Well-educated Malagasy and those working in the tourism sector are often versed in English. Most of the 22 million Malagasy live a subsistence agrarian lifestyle that is very tough. A 2013 World Bank assessment found that more than 92% of the population lives on less than $2 per day, making Madagascar one of the world's poorest countries. This extreme poverty is tied to several interconnected challenges including a poorly performing economy, deforestation, food and water scarcity, lack of health services, loss of biodiversity, institutional corruption, weak governance, and rapid population growth. Several of these problems would be addressed, directly or indirectly, if Madagascar were able to transition into a world-class ecotourism destination on par with Costa Rica (see page below). Despite all its challenges, Madagascar is a country filled with laughter — perhaps due to the very strong family bonds and strength of community which is the bedrock of the Malagasy culture. Scroll down to reveal the second page, which provides an overview of Madagascar as a biodiversity hotspot, current efforts to protect its natural wonders, and the staggering potential to develop nature based travel there. Human activity is threatening the existence of life on Earth and, by extension, the fate of humanity. Scientists estimate that the extinction of species by the end of this century to be between 20%-50% of all living creatures unless action is taken to advert such a catastrophe. In the view of many scientists and nature conservationists, Madagascar is the single most important country in the world for protecting biodiversity. Madagascar is the fourth largest island in the world as well as the oldest island on Earth. Its natural wonders have evolved there in isolation since it broke free from the African continent about 165 million years ago, and then separated from India over 80 million years ago. Astonishingly, about 90% of Madagascar's thousands of plant and animal species are endemic (found nowhere else on the planet). However, what's especially important (and not commonly known) is that incidence of endemism in Madagascar is not limited to the taxonomic level of species but is in fact unparalleled in the world at the deeper levels of genus and family. In other words, there is deep heredity of the "tree of life" — and a living record of ecological antiquity — found amongst the plants and animals existing today in Madagascar. For example, the Didiereaceae, a small family comprised of just four genera and 11 species of flowering plants, is found in the unique Dry Spiny Forest in southern Madagascar and nowhere else on Earth. Six of the world's eight species of baobab tree are endemic to Madagascar, as are 75% of the 860 orchid species found on the island. Fifty-nine species of chameleon are endemic. Madagascar is also a globally important site for amphibians because of the large number of endemic species — so far well over 300 and increasing yearly as new species are discovered. To understand the ecology of Madagascar is to be stupefied by the abundance of this biological eccentricity. Undoubtedly, Madagascar's most famous endemic creatures are the 103 species and sub-species of lemur, a distinct branch of primate. 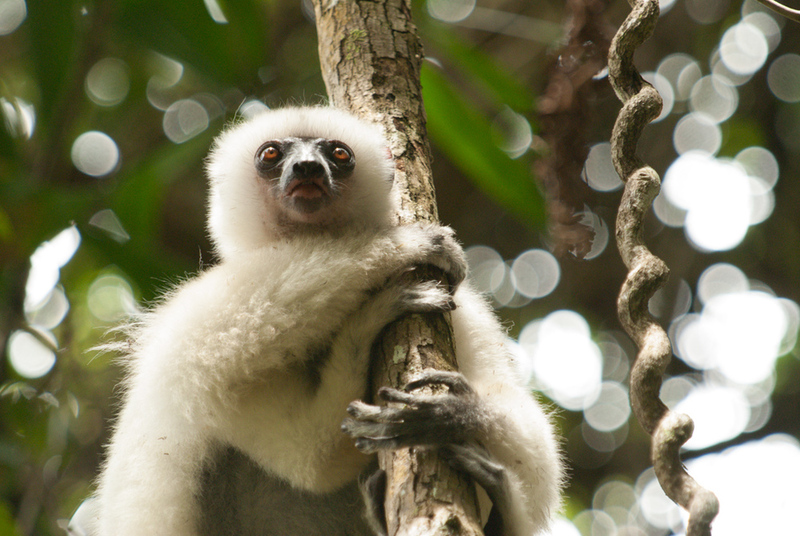 Like most primates, lemurs depend of forests for their survival. Unfortunately, Madagascar has lost much of its forest cover since the middle of the 20th century and continues to do so as the population rapidly expands and forests are cleared for agriculture and firewood (for cooking, heating, etc). Deforestation naturally threatens the existence of lemurs and many other species but also greatly stymies the advancement of the health and prosperity of the Malagasy (the people of Madagascar) because the removal of forest cover contributes to drought events, degradation of natural drinking water sources, and erosion of valuable soil needed for agriculture. Furthermore, the loss of biodiversity is undermining Madagascar's greatest long-term competitive economic advantage: it's unique natural assets which have the potential to make ecotourism the country's number one foreign exchange earner and vehicle for eradicating extreme poverty. In 2013, the esteemed IUCN (the global body of scientists that manage the Red List of endangered species rankings) stated that an astonishing 94% of lemur species were threatened with extinction in the next 20-25 years, and are the most jeopardized mammal group on Earth. The fate of other creatures found only in Madagascar — including tortoises, birds, and amphibians — is just as precarious. 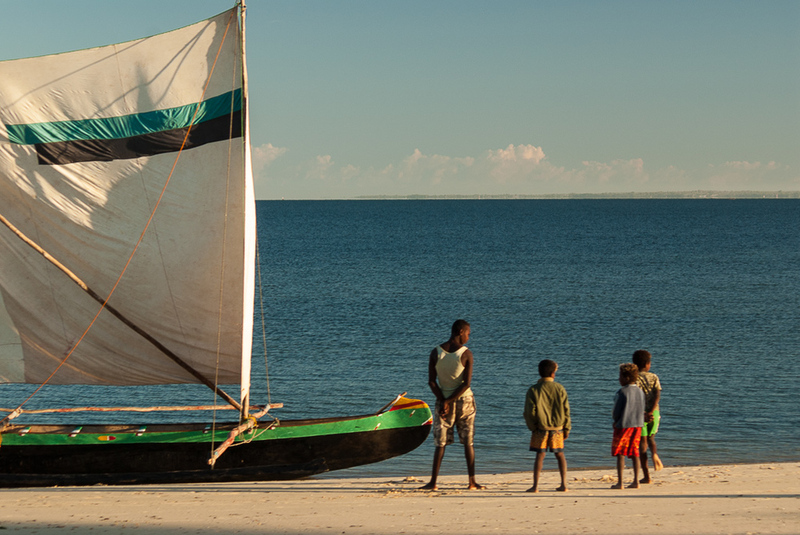 Finding ways to ensure that Madagascar's living treasures endure into the future, and that its people are lifted from extreme poverty, are two inter-related causes that deserve the world's immediate and sustained attention. Thankfully, there is a bold response to the crisis. The Malagasy government along with a cadre of Malagasy and international organizations have created an ambitious action plan to rescue lemurs and other critically-endangered species. Firstly, Madagascar tripled the amount of its landbase in protected areas between 2003 and 2014 to 12% of the country. Secondly, the most important forest habitats across the country (both within and outside of protected areas) have been identified and specific multi-year plans have been laid out to reverse the destruction in those places. These action plans include: providing villagers with alternatives to using wood stoves; training people in sustainable and intensive agriculture techniques such as "SRI" in order to discourage slash and burn agriculture; conducting biological inventories of forests; undertaking reforestation; implementing health and family planning initiatives, and; developing alternatives sources of protein (e.g. fish ponds and poultry) to greatly reduce the demand on hunting lemurs for food. These and other solutions urgently require funds. A modest amount of funds (e.g. $20,000) can make a very significant impact, yet these crucial projects remain virtually unknown to potential donors around the world. Ecotourism is a key part of the biodiversity rescue plan created by the Malagasy government and conservation organizations. 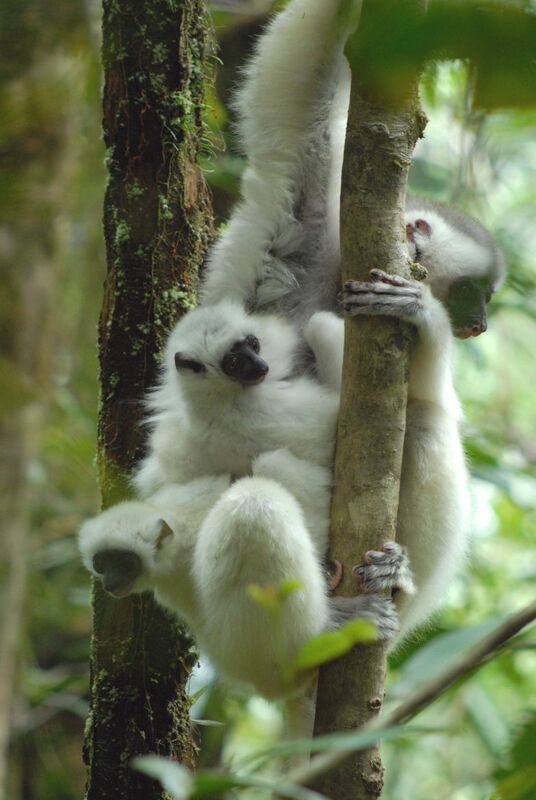 The first component is developing ecotourism ventures that directly involve and benefit communities located near endangered forests (some of the most extraordinary forests in Madagascar do not yet have even the most basic visitor infrastructure such as trails, trained guides, and visitor cabins). The second component is finding ways to promote Madagascar as a phenomenal ecotourism experience that exceeds those offered by iconic ecotourism destinations such as Costa Rica and the Galápagos Islands. Ecotourism in Madagascar is still at a fledgling stage; the goal is for a dramatic ten-fold increase in ecotourists in the coming few years. The ecotourism potential of Madagascar is immense. By way of comparison, consider that Costa Rica is currently receiving ten times the tourists of Madagascar yet has only one sixth as much land area in national parks for visitors to experience. Madagascar’s system of national parks and protected areas is actually about 40% larger in size than the entire country of Costa Rica. To make another comparison, the very remote Galápagos Islands, which are almost entirely a national park of Ecuador, receive about the same number of visitors per year as Madagascar (200,000 in 2013), yet Madagascar's protected areas system is nine times greater in size than the Galápagos Islands and offers much more variation in both landscape features and ecoregions. Being a showcase of endemic species is the major draw for visitors to the Galápagos Islands, yet Madagascar is home to far more endemic species of flora and fauna. For instance, there are about 180 endemic species of vascular plants in the Galápagos and about 11,900 in Madagascar. The Galápagos have 24 endemic birds while Madagascar has 105. There are 19 endemic species of reptile in the Galápagos and about 270 in Madagascar. Furthermore, the Galápagos Islands do not have lemurs! Certainly, Madagascar is a world-class ecotourism destination whose time has come. NOTE: Jeffrey's first contribution to Madagascar was taking a lead role in creating the WWF International Young Volunteers Program. He now offers donor advising as well as assistance with film productions and small group tours. If interested, contact him to discuss options. A portfolio of his portraits of people and lemurs of Madagascar can be seen in the Galleries section.